Create in Zelenogorsk a favorable environment for the development of business activity — a precondition for the development of the city in which interested and State Corporation "Rosatom" and the Government of the Krasnoyarsk Territory. Today, the city opens wide the doors for investors willing to build in the Closed jobs. To do this, Zelenogorsk all conditions. In the first place — highly skilled personnel and availability of production space. The city has a developed transport infrastructure — in industrial areas held a railway line connected to the Trans-Siberian Railway, roads are in good condition. In addition, the city has no shortage of energy: the share of capacity utilization for the production of thermal energy currently stands at 16.6%, electricity — 53.5%. Another plus investment — a low level of criminogenic, which is provided by a special mode of the Closed. But the main advantage — Zelenogorsk open to investors and is ready to provide them with the conditions for successful business development. The administration and management of Zelenogorsk main enterprise is already taking steps to create in a supportive business environment. The city has developed a program to support small and medium-sized businesses, for its effective implementation Fuel company Rosatom has earmarked 5 million rubles. 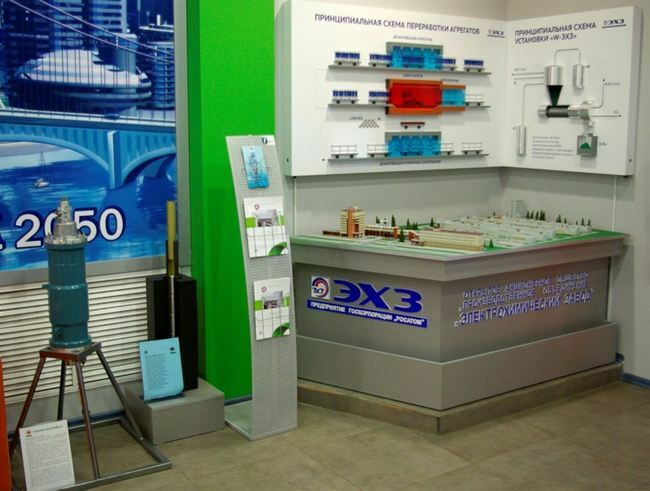 In 2012 TC "TVEL" intends to increase funding up to 50 million rubles. Generated Fund supports entrepreneurship — the fruit of purposeful collaboration once the four parties: the State Corporation "Rosatom", the Government of the Krasnoyarsk Territory, the management of JSC "PA" Electrochemical Plant "and the administration Zelenogorsk. Open Cities Initiative and Enterprise of the nuclear industry attracted the interest of participants IX Krasnoyarsk Economic Forum, a key theme of which was "Time of strategic initiatives." IX Krasnoyarsk Economic Forum has become the most massive in the history of the meeting — attended by more than 2,500 people. The high status of the event highlighted the fact that in the meeting of the Expert Council of the Agency for Strategic Initiatives attended by the head of the Government of the Russian Federation Vladimir Putin. JSC "PA" Electrochemical Plant "(Zelenogorsk) produces low-enriched uranium for nuclear fuel assemblies, stable and radioactive isotopes of various chemical elements and a number of other high-tech goods. It is a part of the Fuel Company "fuel elements" of the State Corporation "Rosatom".